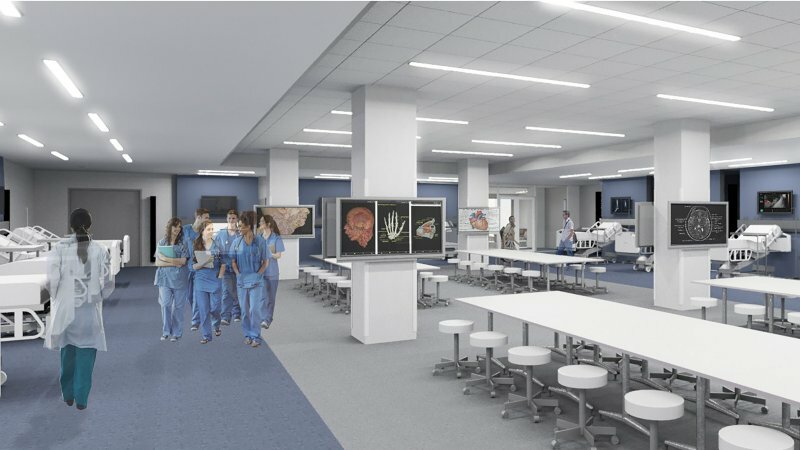 The new Center for Advanced Learning and Simulation (CALS) at LSU/HSC provides state-of-the-art clinical simulation facilities providing students the opportunity to learn and train in a virtual hospital setting. Utilizing a threefold configuration of standardized patients, high-fidelity mannequins and fresh-tissue laboratories, and supported by a robust platform of AV/IT capture technology, a wide range of inpatient and outpatient clinical settings and conditions can be simulated in full scale. 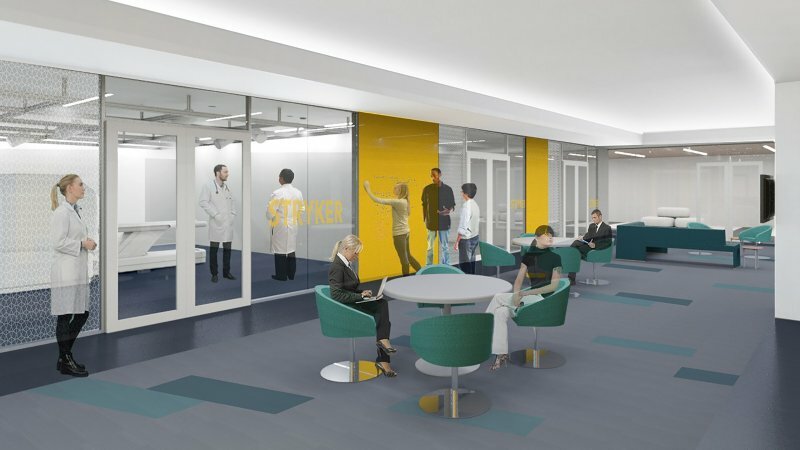 The facility also contains a large “medical mall” which will showcase the latest developments in medical technology and digital health, open not just to the LSU community, but healthcare providers and industry professionals nationally. In addition to state of the art simulation technology, teaching facilities, and a new public concourse, the project also fulfills a critical objective of the Master Plan, which is the creation of an engaging, pedestrian-focused campus center. The design approach for the building organizes all public spaces at the perimeter of the building, clarifying wayfinding and optimizing natural light and views. From the generous covered entry to the double-height dining areas with an exterior dining patio, building occupants are encouraged to engage with one another and with the outdoors.